For anyone looking for an escape from the bustle and heat of city life, Nghệ An Province is the place to go. The province offers travellers a range of activities – including travelling around beautiful islands by boat, catching squid at night and visiting the busy fishing port and seafood market early in the morning. With a long coastline, the province has a number of islands, of which the highlights are the Lan Châu and Ngư islands. Ngư Island is also known as Song Ngư (Twin Fish), because it is shaped like two fish emerging from the sea. The island mainly consists of two mountains, one is some 130m high and the other is 90m. The island has been honoured by poets over the ages, who praised its charm and peculiar shape. Travelling by motorboat is the fastest way to get there. When disembarking from the boat you will see a beautiful road along the shore of the beach covered with pebbles. 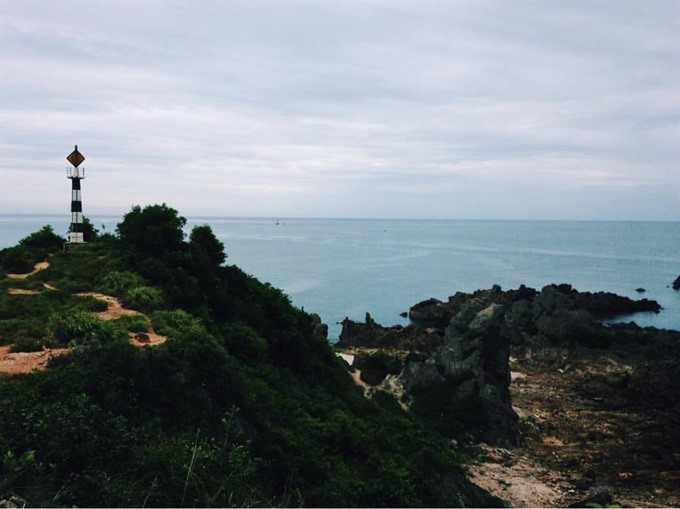 Upon going further into the island one can visit the tranquil Ngư Pagoda, constructed in the 13th century. The pagoda is dedicated to Buddhism, as well as Hoàng Tá Thốn – a military general of Nghệ An Province who helped lead the fight against the Yuan-Mongol invaders. The ancient pagoda is also home to two precious 700-year-old lộc vừng (barringtonia acutangula) trees, which are so old and large that their branches have to be supported by solid wooden pillars. Animals like weasels, lizards, goats, and monkeys wander freely around the island and can often be caught sight of in the daylight. They are mostly animals rescued by Nghệ An rangers from smugglers and reintegrated into the wild. From Ngư Island you can take another 10-minute boat ride through the windy, crystal clear waters to get to Lan Châu Island. Lan Châu is a highlight when one visits Nghệ An Province. This island offers travellers beautiful and peaceful beaches with rocky cliffs of various shapes and sizes. 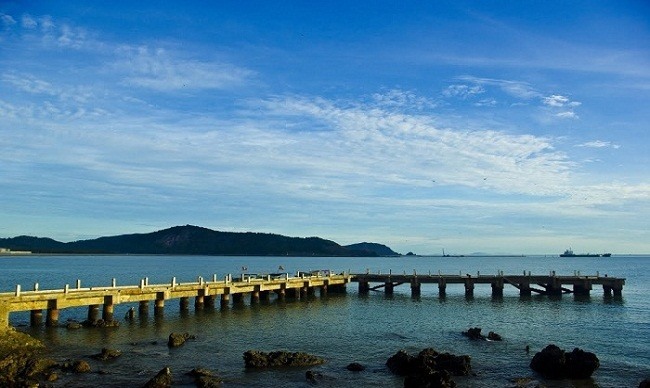 Here, visitors can catch a spectacular view of Cửa Lò and Cửa Hội beaches and Ngư Island. 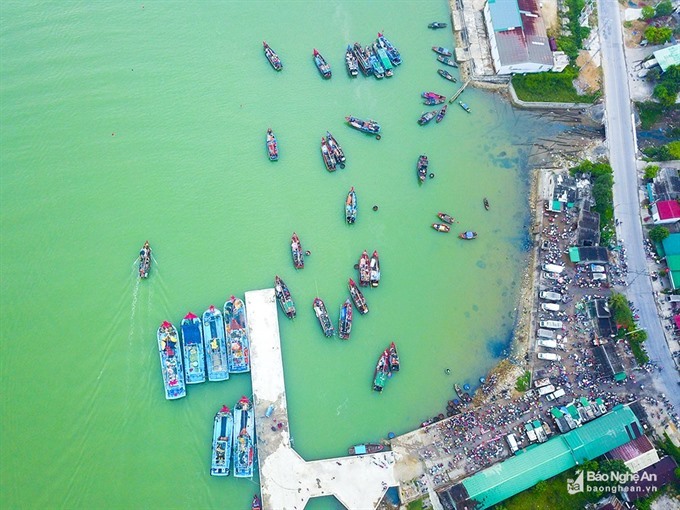 Cửa Hội is one of the largest fish ports in Nghệ An. 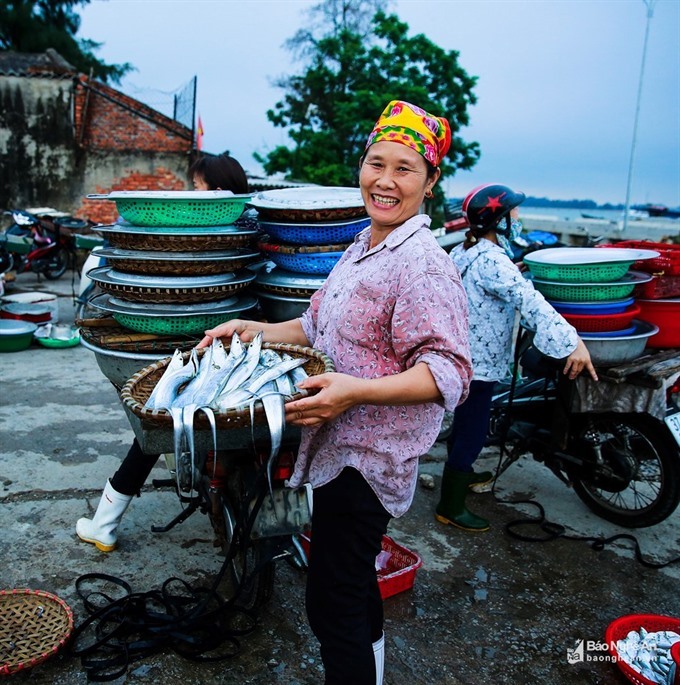 In the early morning, when the mist is still hanging over the sea, Cửa Hội is already hustling and bustling with large and small ships and boats carrying tonnes of seafood. While local merchants are busy seeing to baskets of seafood, some fishermen spend their time resting in the boats after a long night of fishing. Visitors can buy freshly caught seafood here at a reasonable price including fish, squid, crabs, and clams. Alternatively, they can join a tour with the locals to catch squid at night just off Cửa Lò Beach. The small local boats will go out to the sea from 7 pm. As long as the weather is fine, you can contact with the locals and join them any day. The season for catching squid is generally from April to July, while the squid moves closer to the shore to breed. It is advisable to rent a motorboat to save time, and take you to where the squid can be found. A boat for up to four people costs around VNĐ300,000 to 500,000 (US$13 to 22) and will take visitors to 2 to 3km from the shore. The locals are experienced fishermen who are willing to teach you to catch squid and make sure you to have a good time. The fishing rods are long bamboo hooks with a fake shrimp attached to a glowing wire. The glowing light of the hook will attract squid as they mistake it for a real shrimp. Squid in Cửa Lò is small, about the size of three fingers.